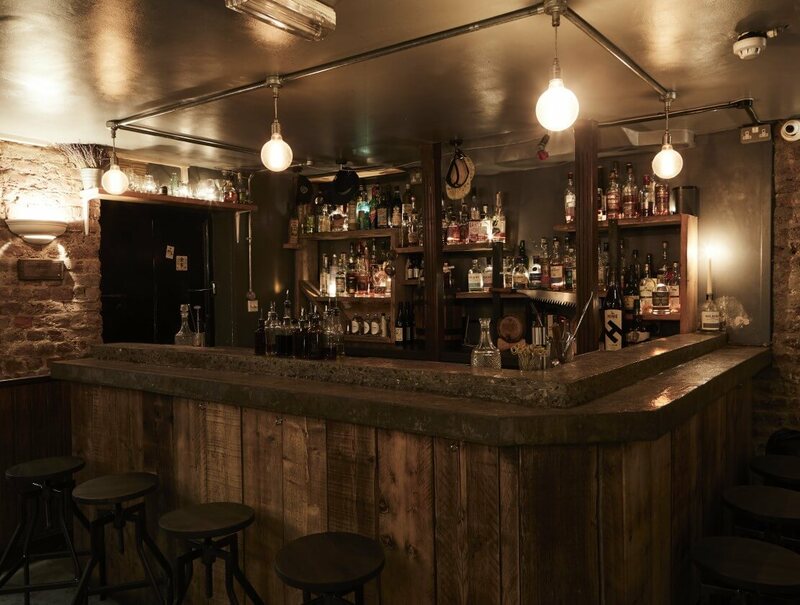 Now entering its third year on the London cocktail scene, The Vault Soho is nestled beneath the famous spirits retailer Milroy’s of Soho on Greek Street. Reached by way of a doorway hidden behind a bookcase to the rear of the store, this speakeasy-style bar regularly tops lists of the capital’s best watering holes – and for good reason. The Vault's intimate atmosphere is enhanced by a table-service-only policy, with guests allocated 90-minute slots, and a ‘if the bar is full, it’s full’ rule to maintain the relaxed ambiance. An outstanding drinks menu, combined with the whisky cachet of the shop upstairs, undoubtedly makes it one of the world’s best venues in which to enjoy a whisky cocktail. 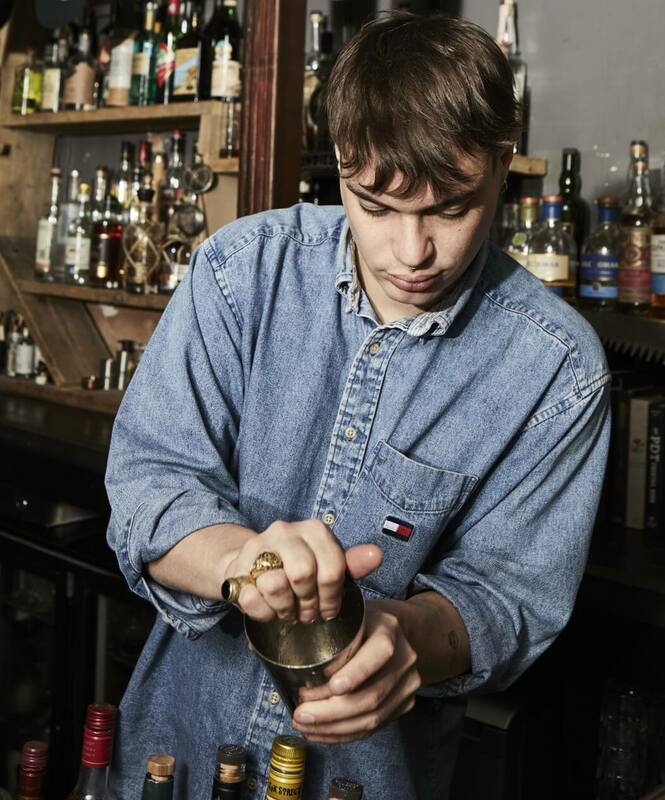 Behind the bar, the team is headed up by Chris Tanner, whose résumé includes time at Milk & Honey, Portside Parlour, Satan’s Whiskers, and The Experimental Cocktail Club. Who drinks at The Vault? It definitely leans toward the ‘millennial’, under-30 cocktail drinker. But every evening we’ll have a real mix, from all walks of life. Has the average whisky drinker changed throughout your career? We’re definitely seeing a lot more young people coming in and asking for whisky and whisky cocktails. Case in point, I had a young couple – early 20s – in the other night on a date. They came in for a cocktail and started asking about whisky, though they’d never tried it before. I think they saw whisky tasting as a bit of an ‘activity’, like going for a wine tasting. Would you say whisky is becoming more accessible to young people? Sure. Though whisky can seem intimidating, you only really need to learn to read the bottle, just like with wine. Unfortunately, we’ve taken that skill of knowing how to read the bottle and turned it into a bit of a mythology. The same could be said of cocktail bar menus! True! I don’t like reading menus crammed full of all this stuff. Our menus generally read as two or three ingredient drinks. One of the things I learned at Milk & Honey was how drinks don’t need to be overly complicated and almost all ingredients can be store bought. What makes the drink special is the service and the skill of the bartenders. Here we do have a few homemade ingredients, but we don’t make a song and dance out of it. Sometimes complexity can be used as a bit of an arbitrary measure of a bartender’s skill, but I’d rather see that someone can make me a nice Martini and take the time to think about the gin and vermouth, than hear that they have gone away and crammed a load of extra stuff in the gin bottle. What do you think caused this recent surge of interest in whisky? The proliferation of the Old Fashioned has changed the game. When I started bartending, you’d be churning out hundreds of Mojitos every night. Now it’s the same with Old Fashioneds. I think the industry itself pushed back a bit against the ‘party cocktail’, in favour of more traditional serves. This was helped by the proliferation of brands like Campari and the re-emergence of the Negroni, which coincided with people becoming more open to new food and drink experiences. Though I can’t speak for the country as a whole, Londeners certainly seem to have become more receptive and more adventurous with what they drink. Not just the kind of cocktails they order, but the spirits they engage with too. We’ve seen consumers transition from drinking Pornstar Martinis to Old Fashioneds as their go-to. It’s been bubbling under the surface for longer, but really seems to have changed in the past five years. Do you find it difficult to introduce patrons to new whiskies? I’d never want to be someone that hates on someone else’s tastes, but you can really see the power of certain big brands. For me, I’m really pro discovery and democracy, so I find it quite hard to reconcile that with the collectability and commodification of certain brands. Though we don’t stock many of the ‘big names’, I’ll always try to suggest something new and open up new learning opportunities. But at the end of the day, drinks should be enjoyed, so if a customer will only enjoy their go-to brand then all you can do is offer some great alternatives. It’s up to them to take the step. What do you make of the trend of low ABV and non-alcoholic drinks? I think low ABV is a really good thing, but low ABV for the sake of it is redundant. If someone wants something that’s non-alcoholic or if they don’t usually drink and don’t want a strong drink, they shouldn’t be treated like a pariah. 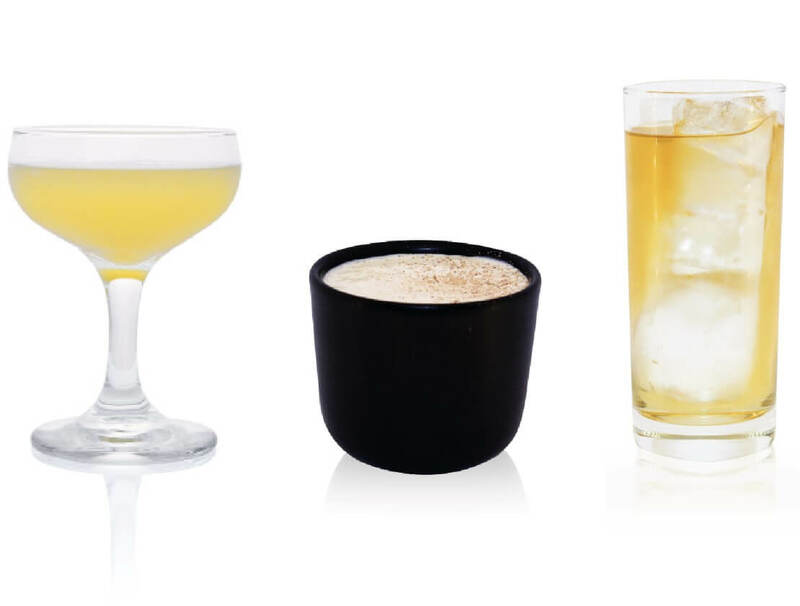 Bartenders should be prepared to make suggestions and deliver drinks that are flavour-led, interesting and engaging. It shouldn’t be a second-class drink just because it’s low ABV. As bartenders, we have a duty to cater to all tastes. Also, I’m a really big fan of sherries, vermouths and other fortified wines, which work well for low-ABV cocktails. Seriously, sherry and tonic is amazing. How did Raasay Distillery get on to your radar? I picked up a bottle of the second release of 'While We Wait' and was absolutely blown away by it. I thought it was phenomenal. I started speaking to people about it and it seemed that nobody had heard of it. I make sure I’ve always got a bottle here on the bar and I’ll sit down with people and say, ‘you’ve got to try this.’ I don’t know anyone from the distillery, I’m just a quiet fan fighting the corner down here! What caught your eye in particular about the Raasay Distillery? I love how creative the project is, especially how they’re experimenting with different cask types and producing different spirit styles which they’ll blend together – including peated and unpeated make – which reminds me of the ‘marques’ system in rum. How about The Tweeddale? Have you been drinking grain whisky for long? I’ve got a soft spot for grain whiskies. Though I’ve only really been drinking them for the last couple of years. I was really impressed by The Grain of Truth. Grain is a category that hasn’t really pierced though yet. I always have a few on the bar and I’ll introduce everyone I can to it – if they’ll listen! Are The Vault's patrons open to trying grain whisky? We’re lucky because we have quite a unique audience here. People come here specifically for mixed drinks, but they know that we have whisky. So they’ll start with a couple of cocktails and be legitimately curious as to why a ‘cool bar’ like here would also have whiskies. Our ethos has always been to push more interesting, unusual products and, for me, grain is part of that. We adhere to our systems really doggedly, which means we do have to turn people away when we’re full. But that also means we can take the time to sit down and introduce things that need more explanation, like grain. Distilled from a mash of 50% malted barley and 50% wheat, this grain whisky from an unnamed distillery has been bottled with natural colour and without chill filtering. It has been matured in ex Bourbon barrels and finished for a period of nine months in ex Oloroso sherry hogsheads. As per Raasay’s previous ‘While We Wait’ releases, this expression has been produced by blending peated and unpeated single malt whisky from an unnamed Scottish distillery to emulate the planned Raasay character. This vatting has been finished in French oak Tuscan wine casks. Stir ingredients with ice and fine strain into a chilled coupe glass. Here I wanted to marry the influence of two types of wood: Tuscan wine casks of the whisky and South American hardwood of the cachaça. They both offer up these huge flavours and they hang very well together with the saffron, honey and citrus notes. Mix ingredients in a mug and top with hot water. Float oat cream and sprinkle with ground nutmeg to garnish. It just makes sense. It’s post-Christmas, cold and miserable. I say give the people something that’s got nuts, coffee, whisky and cream! Make it vegan too. Also, I think it tastes better with oat cream than dairy! Stir with ice in a chilled Collins glass to dilute to taste. Top with ice and soda. The whisky has wonderful aromatic citrus notes, a neroli note, black olive, and cedar wood – it’s super perfumed. It made sense to approach the spirit from an aromatic standpoint, but I gave it a classicism by making it long. It looks ordinary, but isn’t. This essential oil can be bought from health food shops and fat washed through neutral spirit to create a tincture for use in drinks. The blue variant is most famous, but this liqueur is originally colourless. Proper Curaçao is made with Laraha oranges, a bitter derivative of the Valencia orange. This is traditionally used to aromatise Mediterranean desserts and can be sourced from specialist food stores. Made with Australian grain spirit and unfiltered cold press coffee, the flavour is intense and pleasantly bitter. This traditional liqueur from Northern Italy is made with green (unripe) walnuts. These are cut and macerated in alcohol for 60 days, along with spices and sugar. This popular Italian digestif contains extracts from more than 65 herbs and spices, including saffron, mint, and fennel. Brazil’s national spirit, Cachaça, is produced by distilling fermented sugar cane and is best known for its use in the Caipirinha cocktail. Intriguingly, this one has been matured in casks made from the Brazillian hardwood amburana instead of the more traditional oak wood.